While every case of lupus SLE is different, there are a few symptoms most (though not all) lupus patients share. 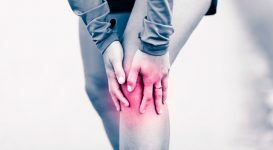 These include the basics, like inflamed joints, a butterfly rash on the face, bone loss or propensity to osteoporosis, low-grade fevers, sensitivity to the sun and fatigue. 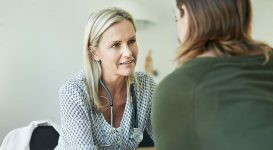 Though everyone’s lupus journey is highly individualized and no two patients will experience all of the same symptoms, there are a few symptoms that many lupus patients are not aware may occur or don’t know to look out for. These are a few of them. Please be aware this list is not exhaustive. As new lupus research occurs, new information is being presented every day. 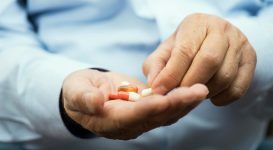 While it is well known that lupus patients have higher rates of depression and anxiety — although it is hard to say how much of it is situational and how much of it is part of the chemical process in the brain, particularly during flares — lupus and mental health issues can be far greater than that. For instance, some patients with lupus may develop psychosis. This may include the presence delusions and hallucinations. The LFA states, however, that it typically only occurs within the first year of a lupus diagnosis, or during onset. Lupus psychosis, as it is referred to, typically occurs during a flare and can be treated with a high dose of steroids. In some cases, though, psychosis can occur as a side effect of prednisone itself. Reassuringly, most cases of lupus psychosis resolve within two to four weeks of onset. For some, lupus psychosis can occur without the presence of a flare, and if this is the case, they are often put on anti-psychotic drugs. Though the condition may be chronic, it is not as long-lasting a case of psychosis not caused by lupus. 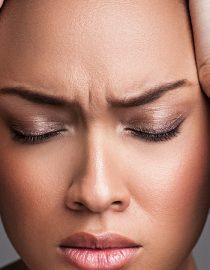 The “regular” kind of headaches most people experience every once in a while are not lupus-related, but some individuals with lupus may have crushing migraine-type headaches. These headaches are extremely severe and can only be cured with aggressive immunosuppressive drugs. If you are suffering from headaches that make it impossible to go about your day, speak to your doctor and work together to determine if it is related to lupus or something else. Either way, it is important to communicate, as headaches of this nature are extremely painful and relief is important. Sometimes, lupus may cause changes to the nerves that can cause odd sensations. This is typically due to an attack on the nervous system by the disease itself. These sensations can be anything from pain to burning to feeling as though your skin is sunburned when it isn’t. Such sensations may come and go or stay throughout the day, which can be pretty uncomfortable. Though most instances of vertigo are not related to lupus, it can occur, particularly in combination with hearing loss. 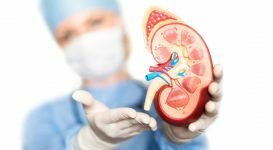 This can be related to inflamed arteries and restricted blood flow, though it is very rare. The LFA suggests most people with vertigo are suffering from another syndrome, but does not discount that it can be related to SLE. While most people with lupus are aware of the disease causing mouth sores or ulcers, there are other dental issues that need to be looked out for as well. For example, many people with SLE develop secondary Sjogren’s syndrome, which is characterized by dry orifices, including the mouth. A dry mouth can lead to the spread of candida, an oral yeast infection, or periodontitis, which is the medical term for a gum infection. Both can be particularly painful and may make it difficult to eat certain foods. Candida does not need to be treated by a dentist as topical medication is typically dispensed by a doctor. If your mouth becomes sore and your tongue and cheeks become particularly painful when eating (especially in response to fruits or anything acidic) and you notice white growth on the inside of your cheeks and tongue, see your doctor. Candida can also spread to the sides of the mouth, causing small, painful cuts on the corners of the mouth (which can also be treated with topical medication). Otherwise, most oral issues associated with lupus should be treated by a dental professional. Bone issues with lupus (such as osteoporosis and degeneration of bones) can spread anywhere in your body, including your mouth. Many people do not think of bones in the oral context, but some people with lupus’ bones become so weak that they are no longer able to hold the teeth in the mouth. If the bones in your jaw are beginning to deteriorate, it is necessary to speak to your rheumatologist who can recommend a dentist or oral surgeon with a background in lupus, or who can work with one to help create a team approach to your care. Most people with lupus are well versed in the butterfly rash, but there are other types of rashes that occur in lupus patients, too. One such lupus-specific rash is the subacute cutaneous lupus erythematosus (SCLE) that may develop in sun-exposed areas of the body. This rash is sensitive to the sun and may look like psoriasis. Although legions may develop, most of them will go away with treatment, and without scarring. However, some discoloration may be seen on some patients more permanently. 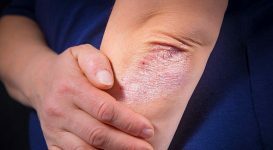 Other issues with skin and lupus include calcinosis, which results from calcium deposits building up in the skin and may cause the skin to leak white liquid. 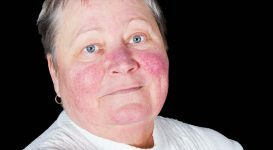 Another syndrome, called livedo reticularis, is related to lupus and caused by “abnormal blood flow” through the capillaries, which will make the skin appear blotchy in a purple, lace-like pattern. These are just some of the lesser-known symptoms of lupus. As lupus is so individualized, this article could continue on into a thesis. 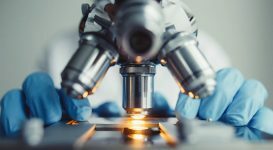 Because of this, it is important to keep a record of your lupus activity, which you can share with your doctor to help him or her determine whether or not you are experiencing lupus symptoms, or something completely unrelated. 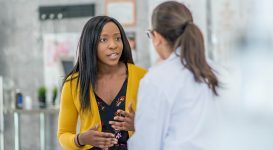 Knowledge is power, and in learning about lupus and knowing how it affects you, you are more likely to get a handle on your symptoms and flare-ups. You might also like...Do Alternative Treatments for Lupus Really Work?